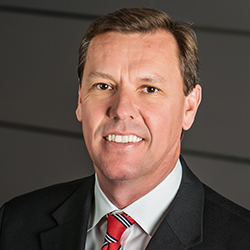 Steve Grimshaw, CEO of Caliber Collision, has been named one of the honorees in the 2016 Entrepreneur Of The Year Southwest program sponsored by the accounting firm of Ernst & Young. Steve and other award winners were honored at an awards gala at Dallas’ Hilton Anatole hotel on June 25. The awards program recognizes entrepreneurs who demonstrate excellence and extraordinary success in areas such as innovation, financial performance and personal commitment to their businesses and communities. These business leaders were selected from nearly 100 nominations by a panel of independent judges. The winners this year–the program’s 30th anniversary–will go on to Palm Springs, Calif., to compete in November for national recognition in several categories, including the EY Entrepreneur Of The Year National Overall Award. Steve Grimshaw has been driving a culture change at Caliber Collison Centers since taking the helm seven years ago. The shift to a customer focus from a car focus has helped the company become the largest collision repair provider in North America. He’s helped define Caliber’s purpose as restoring customers to pre-accident conditions with great service, creating an emotional connection to the mission, and investing heavily in his 8,700 employees’ development. The strategy seems to be paying off. The Lewisville-based company has 394 centers and posted revenue of $1.2 billion last year, compared to 68 centers and $284 million in 2009. Caliber Collison added 120 locations last year and plans to add about 150 this year. Congratulations to Steve, and thanks for representing the collision repair industry so well!